After we enjoyed pancake, we went toward popular ramen shop not so far from the cafe.But to our sorrow, the shop was closed for the occasion… ! In disappointment, we walked along the street and then we happened to find a famous udon shop. 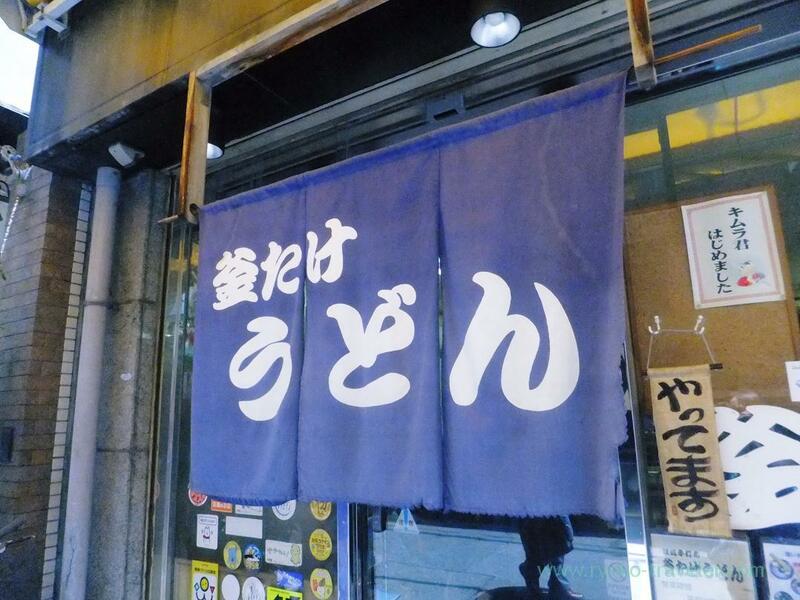 A udon shop that have same name is in Hongo of Tokyo, too. Also the udon shop is popular. I think we were greatly shocked by the ramen shop’s holiday. But we regretted later. We shouldn’t have entered the shop with light hearts. We should have realized when we saw the menu. The prices are higher for its casual appearance. Yes, the prices are high, so…. From this picture, you might not be able to find. But the udon was thick ! The texture of udon was springy and springy ! This springy texture made me feel full soon ! 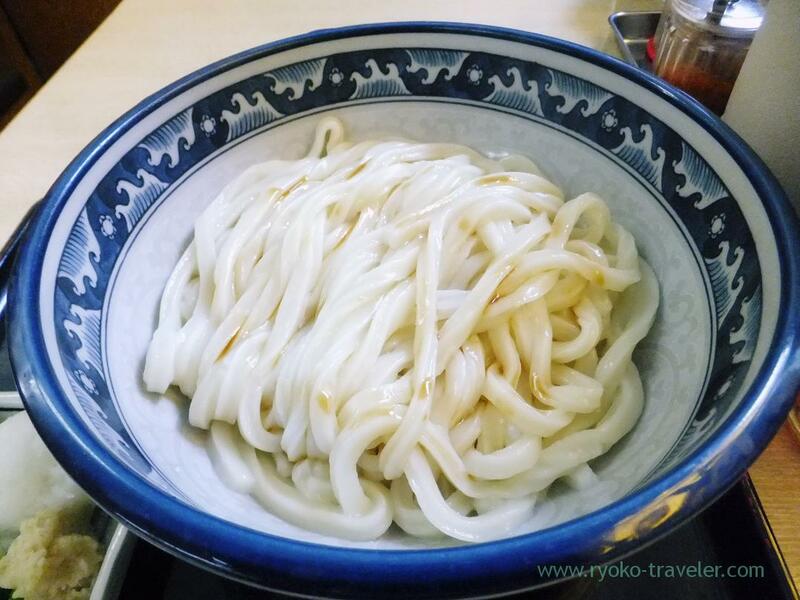 By the way we can order this udon with raw soy sauce warm or cold. I think warm udon with raw soy sauce is rare. But I recommend cold one all the same. Warm udon, especially this shop serves much udon, so bottom of the bowl is humid by much warm udon’s steam. Though they should have drained boiled water well. 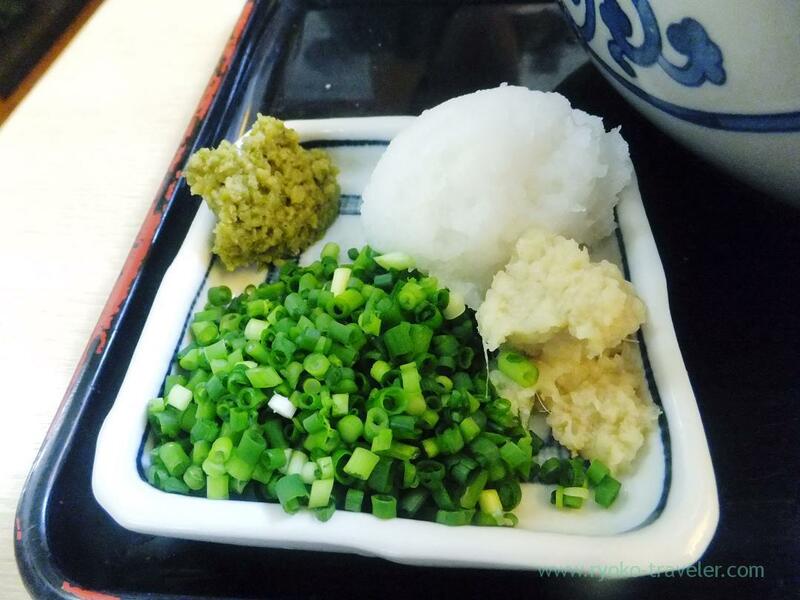 Green onions, grated daikon radish, grated ginger and yuzu pepper.